JACKSON, Miss.— Scholars, community organizers and Islamic leaders convened here over the weekend for a national conference examining “Race, Class and Religious Intersectionality in America” with a focus on the involvement of Muslims in addressing America’s social issues. Subtitled “An Ongoing Struggle for Human Dignity,” one of the conference’s goals was to “bring out of the shadows and into the forefront the important work of Muslim American individuals, institutions and communities,” said conference organizer Okolo Rashid, president of the International Museum of Muslim Cultures in Jackson. “What we’re doing now is really about educating and engaging the public and community around these issues,” Rashid said, adding that the four-day event supported by the W. K. Kellogg Foundation, was designed “to have a really candid conversation” to spur interest, scholarship and activism in examining Islamic culture at this critical time in America and throughout the world. Topics included education, race relations and law enforcement. The panelists were challenged to offer “a way forward out of a deepening culture of racism, classism and denial of human dignity” and to help develop a prescription for addressing those issues. Presenters agreed that education reform and increasing the numbers of African-American educators in the classroom and at administrative levels is essential. Several academics proposed ways in which historically Black colleges and universities (HBCUs) can improve the achievement levels of African-American youth and contribute to the overall advancement of communities of color. Other academics focused on deep problems facing the country’s public education system. 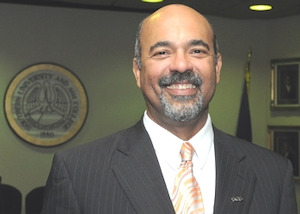 Dr. Hakim Rashid, a professor in Howard University’s School of Education, said HBCUs must enhance and expand their teacher education programs – not reduce or eliminate them as some are doing – in order to increase the numbers of African-American teachers and administrators in public schools, particularly Black men. He also suggested non-traditional recruitment approaches. Okolo Rashid said gatherings such as the Jackson conference are aimed at finding common ground and breaking down stereotypes and falsehoods.